​Dr. Hagedorn holds a Diploma in Mineralogy and Geophysics and a PhD in isotope Geochemistry from Germany. Throughout her entire career she is working in the field of environmental geochemistry with an strong emphasize in the Arctic and Antarctic. She worked for 4 years with researcher at University of Washington at the Quaternary Research Center and managed for 11 years an interdisciplinary analytical research laboratory at the University of Alaska Anchorage. Most of her research focuses on nutrient and contaminant transport in permafrost, river and glacier systems. She has more than 25 year’s of field experiences in remote locations such as Antarctica, Greenland, Siberia and northern Alaska where she trained students in sampling and field methods. But she has also worked in other climatic and geologic settings including the Himalayas, western US and central Europe. Over the past decade Dr. Hagedorn has worked on a large variety of environmental projects related to human activity in urban and rural places. 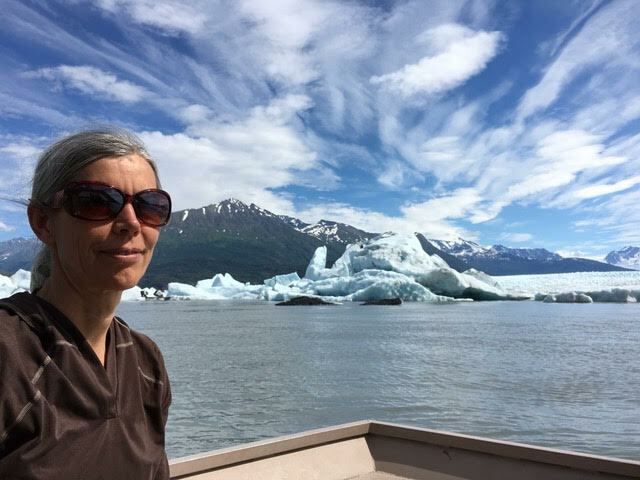 She gave environmental sampling workshops in Barrow and Anchorage and several short workshops on water quality at conferences and community meetings in Alaska. Currently Dr. Hagedorn started her own company and gives training workshops to environmental workforce and is consulting in environmental projects. Dr. Torrance is a practicing environmental geologist employed by UMIAQ Environmental, LLC, and works on contaminated site characterization and remediation projects throughout Alaska. Most of his current projects are around Barrow and other North Slope Communities. He is a Chartered Geologist, a Certified Professional Geologist and a Professional Hydrologist. Keith has an undergraduate degree in Geology from the University of Glasgow in Scotland. He initially worked in the mining and energy sectors in Australia and the United Kingdom then got sidetracked into compound semiconductor processing for a number of years. He completed a Master’s degree in geo-environmental engineering at the University of Strathclyde in Glasgow, investigating arsenic-rich semiconductor waste, before completing the circle with his PhD thesis on arsenic geochemistry in surface water at historical mine sites in Alaska and Scotland. He recently completed a graduate certificate in Environmental Regulations and Permitting at UAA. Keith is active in many professional societies; he is currently vice president of the Alaska Geological Society and the Alaska Chapter of the Association of Environmental and Engineering Geologists. He is active in the Alaska Miners Association and a member of the Community Advisory Board for UAA’s geoscience program.